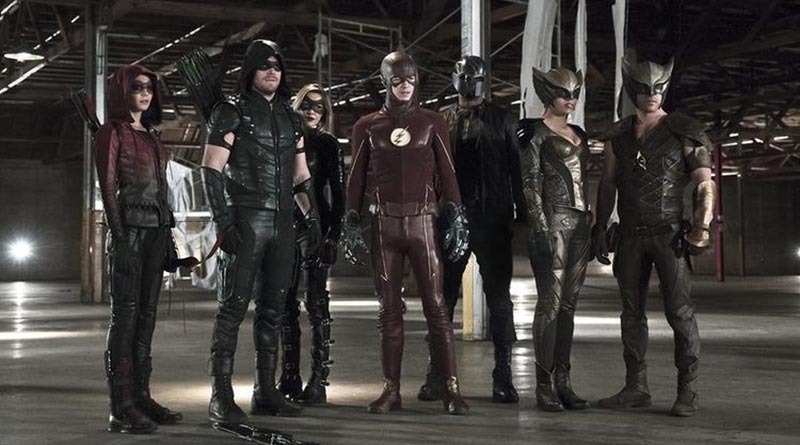 While I really enjoyed some of the most recent episodes of the shows in the so-called Arrowverse (Arrow, The Flash, and Legends of Tomorrow), there’s this nagging notion that has grown with me. It has to do with the fact that in the shared universe of these shows (leaving out Supergirl for now since that show takes place in another reality) Superman and Batman don’t seem to exist. I understand the reasons why DC Entertainment/Warner Brothers don’t want their two most popular superheroes in the Arrowverse. Early on when it was just Arrow, the show’s creators/producers wanted a superhero show that was grounded in reality without any connections to the just-concluded Smallville. So that meant no characters with superpowers and Arrow had to appear as if what happened was kind of plausible. But superpowers started to creep its way into Arrow by its second season when a drug was introduced that can grant people superhuman strength and when Barry Allen made his debut appearance, which ended with him getting struck by lightning. Not only that, but other elements of the DC Universe started appearing such as the Suicide Squad and Amanda Waller. The following season of Arrow had the title superhero battling with the Batman villain Ra’s al Ghul and The Flash premiered with an explanation as to what caused people to suddenly develop superpowers. It seemed like a good starting point to jumpstart a DC Universe. The producers even took things a step further by introducing magic in Arrow with the Lazarus Pit and an appearance by sorcerer John Constantine, as well as the supernatural heroine Vixen. It didn’t end there, both shows served also featured the superheroes Hawkman and Hawkwoman, which were then spun off to co-star in Legends of Tomorrow. All this is going on in the Arrowverse so why not have Superman and Batman be a part of it? To me, this Arrowverse feels a bit off since neither of those characters are in it and the Flash is probably the most powerful superhero in it. The obvious answer to the question is that Warner Bros. and DC don’t want their two big guns appearing on the show. They’re being held for the big leagues, IOW the movies. That’s fine, leave the epic heroes for the silver screen with the big budgets, but what is baffling is this idea that TPTB have that they don’t want audiences confused or have their product diluted. 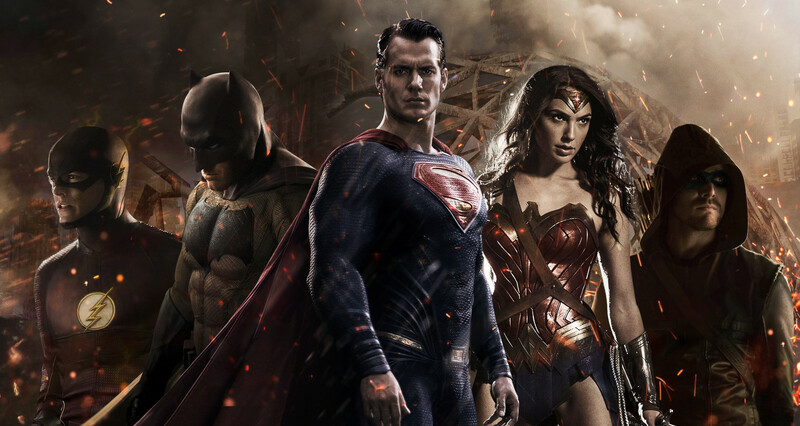 The average fan wouldn’t expect to see Ben Affleck or some other big shot actor appearing as Batman or Superman in The Flash. Nor would they be confused if they saw someone else portraying the Man of Steel. We’re not stupid. This doesn’t mean that Arrow, The Flash and Legends of Tomorrow have to feature the actual appearances of Superman or Batman, just allude to them like they do in Supergirl. We don’t see Superman on that show, but he is mentioned and has a presence. Would it hurt to just name drop the city of Gotham or Lex Luthor? No. It would make the Arrowverse feel more complete and richer. Instead we keep wondering why Ra’s al Ghul exists but not Bruce Wayne. 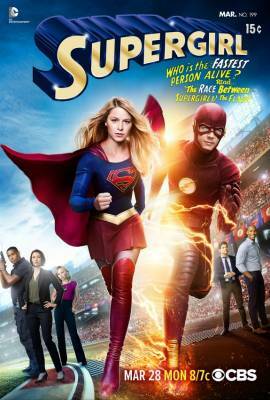 Seriously, I think the Arrowverse shows should be allowed to refer to both superheroes. And on a personal note, I think they do exist in the Arrowverse. In one episode of Legends of Tomorrow the time traveler Rip Hunter said that he saw Men of Steel die and Dark Knights fall. That couldn’t be any more clear who he was alluding to. The fact that Ra’s al Ghul exists implies that the world of Batman also exists in the Arrowverse. Ditto goes for Superman when you throw in Supergirl. In that already famous Supergirl episode “Worlds Finest” the Flash visits her dimension and he states that he doesn’t know of any aliens on his world. That implies that Superman may exist in the Arrowverse, but has not revealed himself to the general public. The same can go for Batman, who is probably operating deeper in the shadows than Green Arrow and may be considered an urban legend at this point. Maybe after some time, we’ll see some kind of reference to the two superstars of DC Comics. It won’t be the end of the world if this never happens, but it would make watching the Arrowverse shows much more fulfilling. I would like to see Superman and Batman in the Arroverse as well, it would make sense really, but I guess they want to keep them separate for the movies. Still, maybe at some point this could happen, would be great to see Arrow Vs Batman! 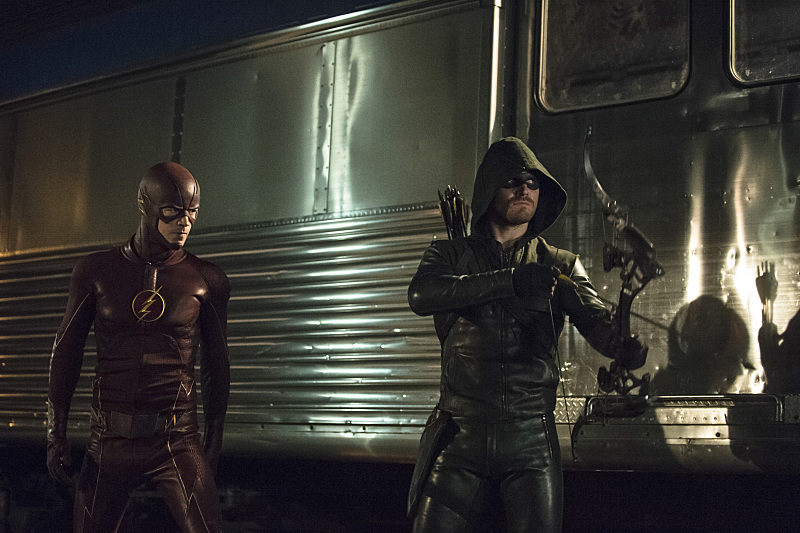 Arrow vs. Batman, that would make a good series finale! It sure would, that’s what I’d like to see, it’d be awesome! No, may do so in the future.